It’s time to talk Thanksgiving. I KNOW. I can’t believe it either. 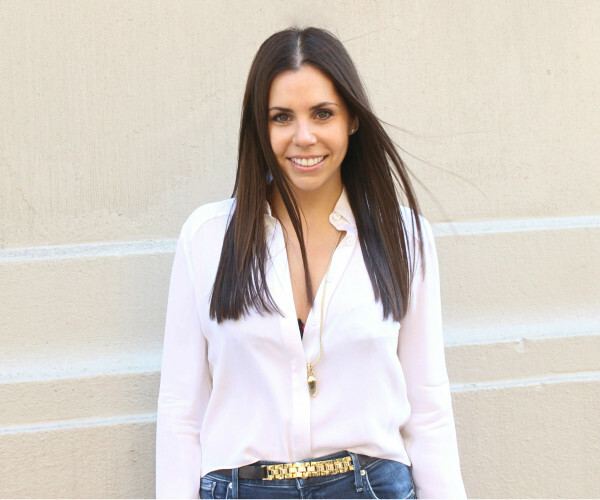 But the truth is I’ve been deep in T-Day prep for weeks, so I’m beyond excited to share this years recipes. The first of them being this delightfully warm, savory salad that’s as cozy + comforting as it is healthy and bright. 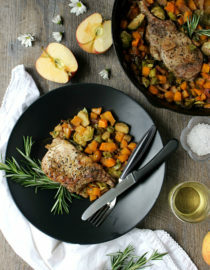 What’s great about this recipe is that it’s versatile for however you schedule your Thanksgiving feast. 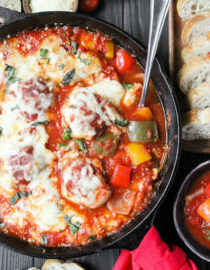 If your family does a small appetizer before dinner, this is totally ideal. Or if you just serve everything all at once (like mine!) this still kills it. So regardless of what your traditions are, trust that this salad is coming along for the ride. You start by roasting butternut squash in a mixture of coconut oil, brown sugar, cinnamon, and salt & pepper. This particular combo enhances the butternut’s sweet and savory notes in a balanced, proportionate way, so it’s my forever butternut marinade. While it roasts your kitchen will smell like a very expensive candle, so thank me later. And you’ll also have time to prep the remainder of the recipe, which frankly takes no time at all. 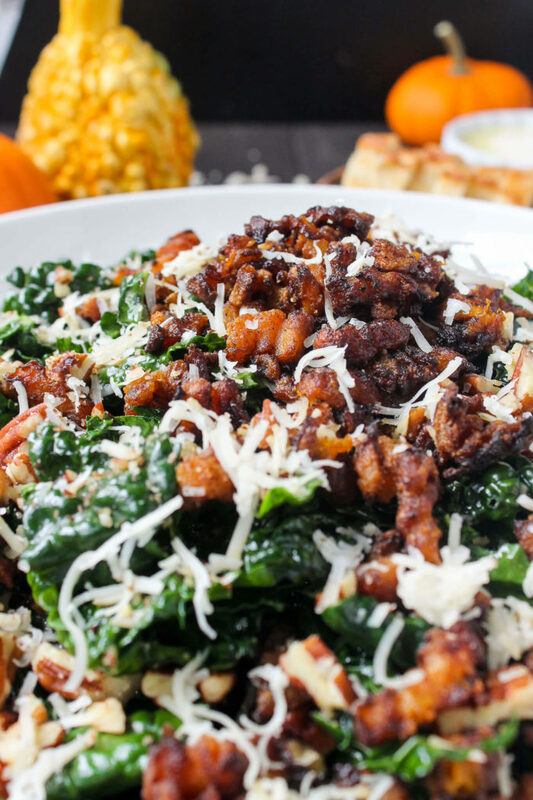 It’s important to note that this salad calls for Tuscan kale, so be sure that’s what you purchase. 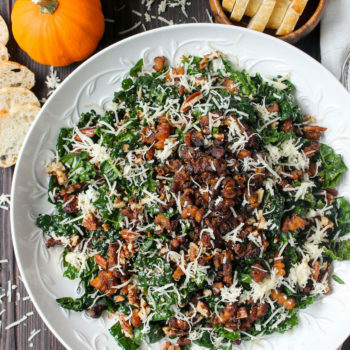 Tuscan kale is more tender (aka: less bitter) than other varieties, so it’s necessary for this recipe. Usually I’ll buy it bagged — the horror! I know — then sift through to discard of any stems. If you want to buy raw Tuscan stalks and chop them yourself, amazing! I’ve clearly taught you well. But the triple washed, organic, bagged stuff is actually pretty legit, so feel free to go that route too. 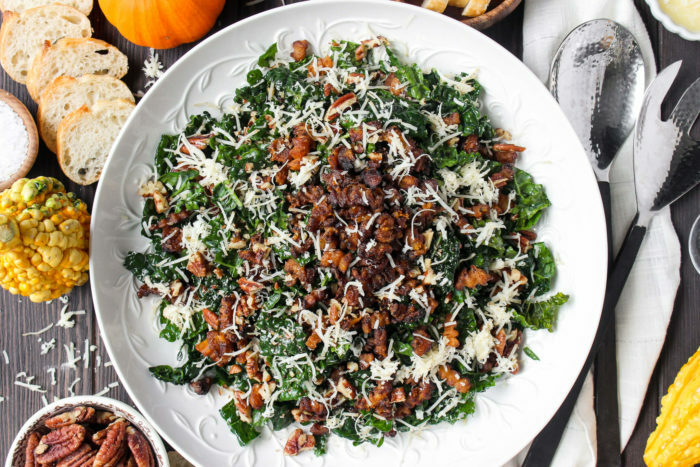 With your kale ready, roughly chop roasted/salted pecans and finely grate a shitload of pecorino cheese. If you’d prefer to use asiago or gruyere, fine by me. Just make sure your cheese is sharp. Lastly fix up a simple dressing of EVOO, apple cider, vinegar, and sugar. And then? That’s it! As soon as the butternuts ready, it’s time to rock and roll. Ideally this salad is served warm, but room temperature is delightful too. 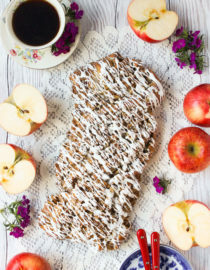 The recipe directions are written for immediate serving, but if you need something custom, e-mail me! I’ll give you the tips. But regardless of how you eat it, get ready for this salad to steal the show. 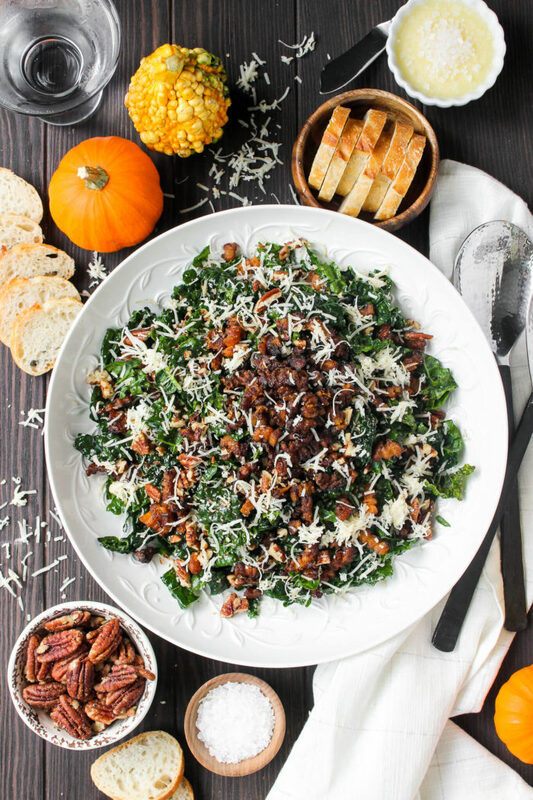 The contrast of texture between the caramelized butternut, crunchy pecans, crisp kale, and creamy cheese is INCREDIBLE, I’m having cravings just writing this. The look, smell, and taste of this salad is unabashedly fall, and it’s genuinely healthy, too. Pre-heat oven to 425F. Lightly grease a large rimmed baking sheet with cooking spray. In small mixing dish combine the coconut oil, brown sugar, cinnamon, and salt & pepper, whisking well until smooth. Next, place the cubed butternut squash in another, large mixing bowl, then pour over with the coconut oil mixture. Stir ingredients with a wooden spoon until are cubes are evenly coated, then transfer to the greased baking dish. Roast squash at 425F for 30 – 35 minutes until caramelized, golden, and crispy. Meanwhile, in a mixing bowl combine all dressing ingredients, whisking well. 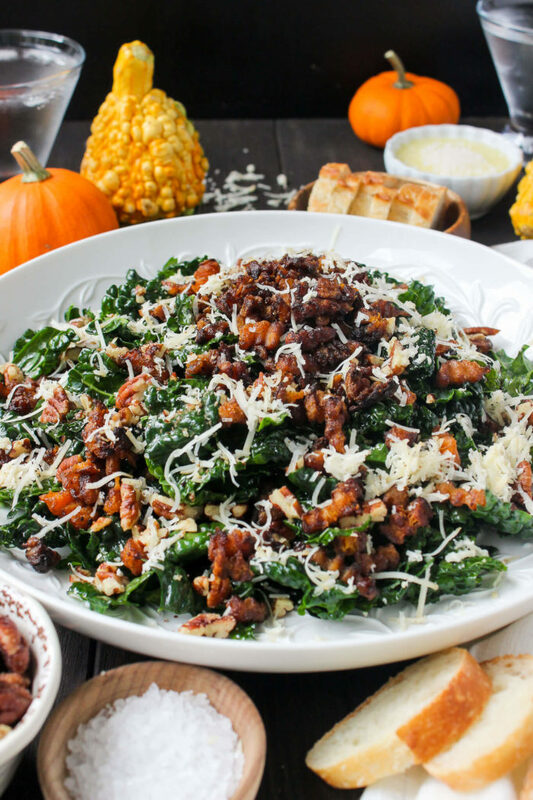 Toss the kale in about 2 tbsps of dressing until all leaves are just barely coated, then transfer to a serving bowl of plate. 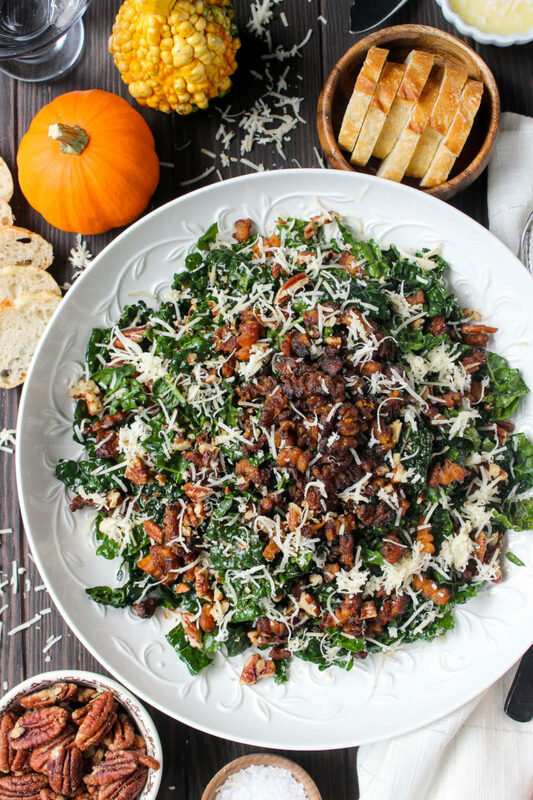 When the butternut is finished cooking, immediately top over the lightly dressed kale, then sprinkle with the pecans and pecorino cheese. 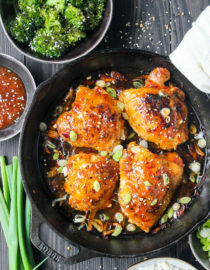 Drizzle with the remaining dressing, then immediately serve! hi! I’m Christine, and this is WRY TOAST. 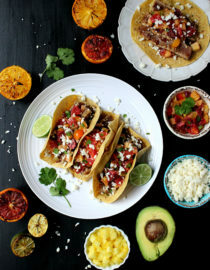 Consider WRY your guide to easy, everyday cooking – Healthy, seasonal, straight-forward recipes are what you’ll find here, all of them flexible and attainable for your everyday life. Like WRY TOAST on Facebook! ©2019 Wry Toast. Design by Purr.